Everyone Welcome! Bath your piggie & clip their nails, create a fancy dress, and bring them along by 1pm to enter the public classes. Win awesome prizes! 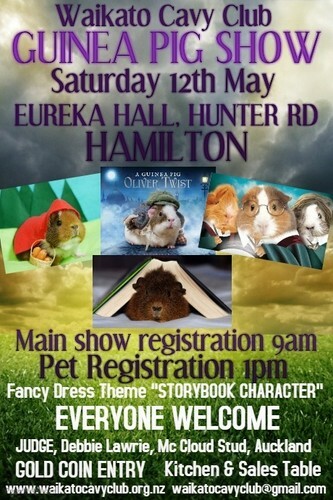 Come along and see purebred guinea pigs competing for Best In Show. Gold coin entry. Kitchen & sales table.